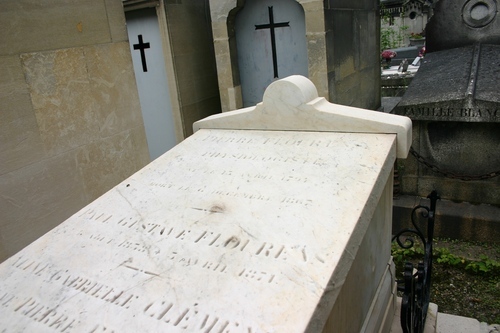 The simple tomb of Pierre Flourens can be found in the Division 66 (Chemin d'Ornano) of the Pére Lachaise Cemetery in Paris (main entrance from Boulevard de Mènilmontant). 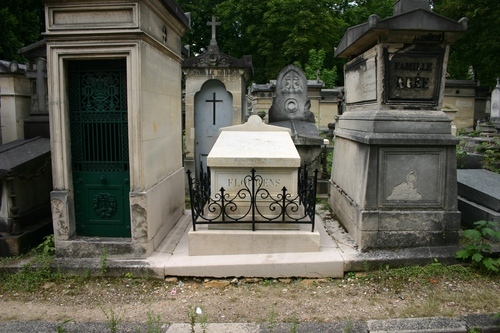 He is buried there along with his wife, Aline Gabrielle Clement, and his eldest son, Gustave1. 1. 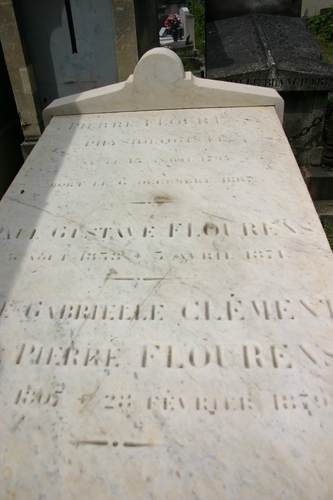 Georgette Legée, Pierre Flourens (1794-1867), Paillart, Abbeville 1992, vol. 1, p. 27.